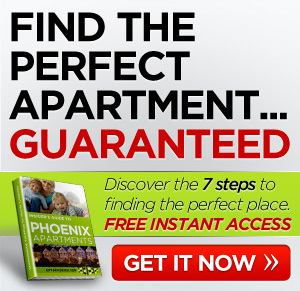 Sometimes, when you’re looking for an apartment to rent in Phoenix, you feel like everything is either too expensive, or the apartment doesn’t really have what you’re looking for. But, when you’re shopping on a budget, you worry about settling for something that won’t really meet your needs. You also worry that the apartment might be in an unsafe neighborhood. Here’s a list of four apartment complexes that have 2-bedroom apartments for under $600. With each one, you’ll be able to get a great deal without sacrificing much at all. Of course, they may not have all the features that a luxury apartment for rent in Phoenix might have, but they’ll meet your needs. They are all managed by professional management companies and have great track records for maintenance. 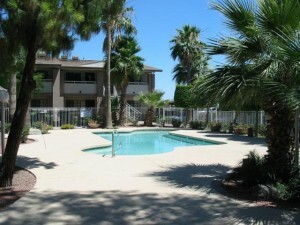 If you’re looking in the Phoenix suburb of Glendale, these apartments are fantastic. They have a great pet policy and they also accept housing vouchers. Within half a mile of the complex, you’ll find several restaurants, groceries, schools, parks, and more. The apartments are also near the Westgate City Center which should meet all your shopping needs. These apartments are spectacular, featuring two sparkling pools, a spa, a 24-hour fitness center, washers and dryers in each unit, new appliances, and big closets. This complex is close to just about everything. Within half a mile, you’ll have 8 great restaurants (including Boston Market, El Pollo Loco, Chili’s, and Jamba Juice), coffee shops, groceries, a Super Target, lots of shopping, an elementary school, a bookstore, banks, and more. Amenities at Hayden Lane are plentiful and include sun decks, a pool, meal services, professional property management, on-site maintenance, and more. 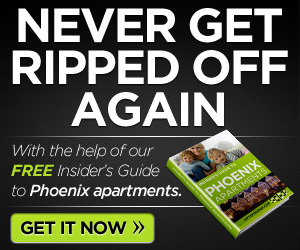 They also regularly run specials to help your transition into your new apartment be as easy as possible. Nearby, you’ll find plenty of restaurants, an elementary school, parks, a Barnes & Noble, and several banks. The grounds here are gorgeous, with great trees, a pool, basketball, volleyball, and great homes. The staff is friendly and professional and the maintenance team really gets the job done. A little bit off the beaten path, you’ve got great restaurants, groceries, shopping, schools, and banks within a mile of these apartments. Now that you’ve read about some great budget apartments that are for rent in Phoenix, it’s time to head out and see them. Good luck with your search, and let me know if you need any help hunting for a new apartment.